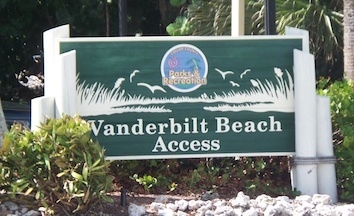 Vanderbilt beach is located in the northern area of Naples Florida. It's one of the area's most popular beaches because of it's location. It's nearby popular hotels, great restaurants, and shopping destinations. 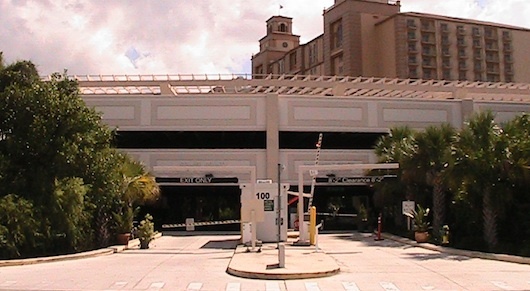 There is a large parking garage that was recently built so there's almost always parking available. It has 340 spaces and is for public use. The building behind it is the Ritz. During season (January through March around here) try arrive before 10 am. When I wrote this page the parking for the day was $8.00. Right across the street from the garage there are a few parallel parking spaces where you pay with quarters. After you park in the garage you get to enjoy a nice walk through the mangroves on this neat boardwalk. Don't worry, it's a short walk. 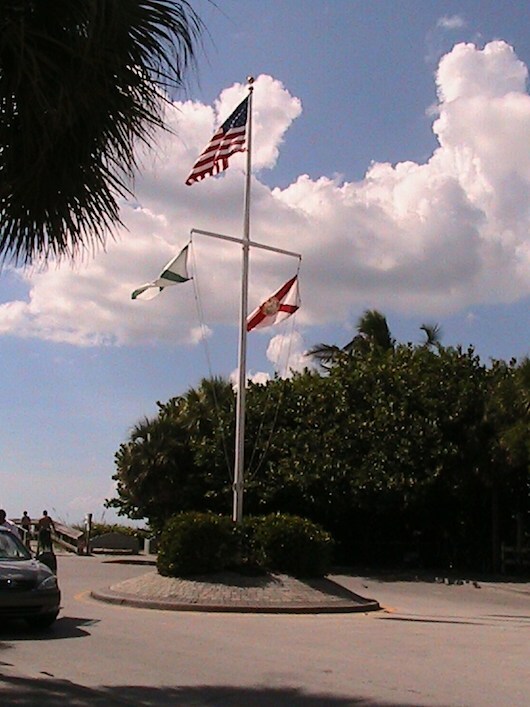 After that you'll head west towards the beach where you'll be welcomed by an American flag. This is where the handicap parking spots are--it's also where you lock your bicycles. From there you can take the small boardwalk right onto the sandy white beach. 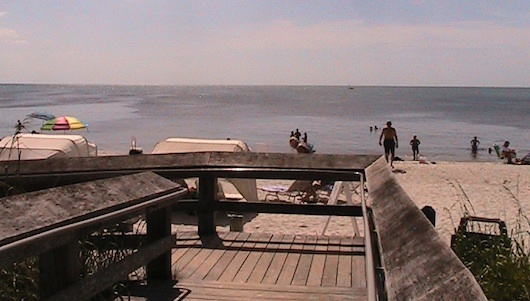 There's a beach hut where you can rent chairs, umbrellas, buy sunscreen, and some other beach related stuff. Below is a view to the north. I call the nearest beach towards that way North Naples Beach. Once you're there, sit back, relax, have a swim, and enjoy the view. I've created a video tour of this beach that you can also enjoy.